UPDATE: Bevon Lewis and Jordan Espinoza have earned UFC contracts. 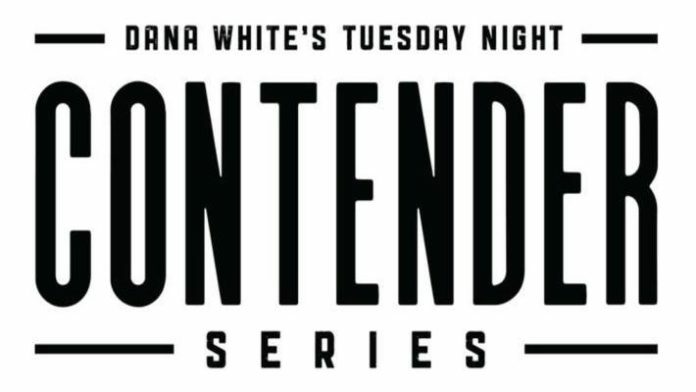 Night 12 of Dana White’s Tuesday Night Contender Series is underway. In the main event, Legacy Fighting Alliance featherweight champion Kevin Aguilar will move up to lightweight to take on Joey Gomez. Also featured on the card will be a bout between Bevon Lewis and Alton Cunningham. Toby Misech vs. Ricky Palacios, Jordan Espinoza vs. Riley Dutro, and Jalin Turner vs. John Mustaki are all set for the card. Fighters who have standout performance could see themselves walk out of The Ultimate Fighter Gym with a UFC contract. The action begins at 8 p.m. ET tonight (July 10) and it’ll air live on UFC Fight Pass.